5G represents the next milestone in mobile communications, targeting more traffic, increased capacity, reduced latency, and energy consumption through various technologies such as massive multiple-in-multiple-out (MIMO) and beam-forming antenna arrays, mmWave spectrum use, and carrier aggregation. Initial deployment is expected to begin in 2020, and, according to Nokia, there will be some 5G communications implemented in the 2018 winter Olympics. Physical technologies required for 5G realization are increased spectrum and new circuitry (amplifiers, passives, and antennas), as well as efficient power schemes for amplifiers in mobile and base stations and smaller cells in distributed systems. Improved antenna systems are a critical enabling component of the proposed new 5G communications standards currently under development. 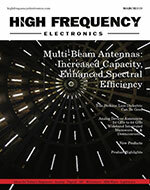 As shown in Figure 1, high data rates, increased capacity, and low power specifications for 5G will require that communication system antennas be designed for maximum efficiency and throughput with narrow, directed beams. As a result, RF system engineers need to include the antenna characteristics in their simulations to correctly design the entire transmit/receive system. Figure 1 • High data rates, increased capacity, and low power specifications in 5G will require that communication system antennas be designed for maximum efficiency. New antennas geometries such as MIMO/Massive MIMO and integrated phased arrays will be required for 5G. As Figure 2 shows, it is important to remember that MIMO does not go from a single transmit antenna to a single receive antenna, but rather the output goes to multiple receivers, making 5G antenna design very complex. Figure 2 • MIMO and beam-forming array antenna configurations for 5G. 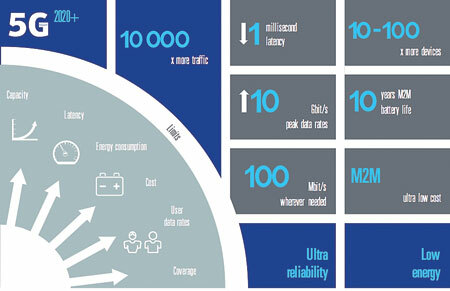 The potential of Massive MIMO will bring over 10x in capacity improvement and over 100x reduction in power consumption. Figure 3 shows how MIMO antenna arrays enable more efficient transmission of power with higher capacity. As a result of the complexities of 5G antenna design, RF system engineers will need to include the antenna characteristics in their simulations to correctly design the entire transmit/receive system. NI AWR Design Environment, inclusive of Microwave Office circuit design software, Visual System Simulator™ (VSS) system design software, and AXIEM planar and Analyst™ 3D finite element method (FEM) electromagnetic (EM) simulators, helps engineers develop the technologies that will make these advances possible. Different RF links for each element. In VSS the recently enhanced beam-steering behavioral model provides accurate characterization for a distributed feed architecture. User can define the desired splitter/combiner architecture, along with the desired beam angle and observation angle. The model automatically calculates the phase and the input power required for each element and gives the user the array performance. The phased arrays may be investigated in transmit or receive mode, or combined to model a complete transmit and receive chain and evaluate the end-to-end system performance. 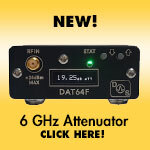 The MIMO model provides the flexibility to further define the RF link connected to each antenna element, including the filtering and amplification for each element. A common application would be studying requirements for amplifier performance in an array where the center elements are being excited at higher power. Furthermore, such setup would allow users to investigate array operation when elements are excited with non-correlated signals, resulting in higher cross-talk and more demanding designs. Classically, designers would use an electromagnetic (EM) simulator and antenna software for the phased array itself. As a system engineer designing the RF link, it is important to include the effects of the antenna and the phased array into the system-level design. Figure 4 shows a simplified link in VSS. Figure 4 • System-level phased-array design of the RF link. The second element, the TX phased array, is the system model element in the system simulator that is modeling the phased array. In VSS the flow for modeling a phased array has been greatly automated. Users can put real antenna patterns into the element, and can actually couple the elements to get coupling effects for issues like nearest neighbors. In addition, the RF links can be individually modeled for each array element. Figure 5 shows the RF link characterization capability in the software. Rather than having to write text files manually, a new VSS measurement automatically generates the data-file model of the phased-array element RF link. The user starts with the RF link design (top-right) and uses a link characterization measurement to extract the RF link characteristics and save them to a file. The results are then used in the phased-array model. Figure 5 • VSS phased-array element with RF link characterization. The phased-array element in the Microwave Office circuit simulator can use real antenna patterns, derived from an EM simulator, as shown in the simple patch antenna example in Figure 6. The user designs the element and measures the radiation pattern in either AXIEM or Analyst EM simulator. The antenna patterns in the phased-array element within the simulator come either from an EM simulator or from measured data. The input impedance is input into the phased-array element, which produces the pattern. Then the software automatically generates the data file for the pattern, which is then put into the element. Figure 6 • The element is designed and the radiation pattern is EM simulated in AXIEM or Analyst, which then automatically generates the data file for input into the element. If antenna elements have not been designed yet, users can take advantage of AntSyn™, which offers automated antenna design, synthesis, and optimization. With this tool designers can define their specifications and the software will provide the best antenna designs based on those requirements. It will often suggest antennas that the designer might not have considered, but that the software has determined might be better for the particular application (Figure 7). Figure 7 • AntSyn takes antenna specifications as input and produces designs based on the input requirements. This is another example of means for getting the patterns of the elements in the antenna design. Figure 8 shows how AntSyn provides an output antenna pattern file that can be imported into the VSS phased-array model. Figure 8 • An AntSyn antenna pattern file can be imported into the VSS phased-array model. The antenna pattern and input impedances can be affected by cross-coupling between neighboring elements. In an effort to have more realistic effects in the system element, VSS enables designers to include coupling between elements. Looking at the 8 x 8 array in Figure 9, clearly the elements in the center have more neighboring elements than the ones in the corners or around the edges. In this example, elements are divided into three categories: elements that are on the interior of the array, elements at the edge of the array, and four elements at the corners. These categories can be used to model the specific mutual coupling that is observed by each type of element, resulting in better evaluation of the array response. Figure 9 • The coupling elements for center, edges, and corners of the array (left) and resulting EM simulation (right). In the phased-array element in the system simulator, users can define which pattern and/or which active impedance should be used. The VSS phased-array model can use different patterns for each element, which can be calculated using EM simulations, and mutual coupling effects coming from neighboring elements. The VSS system model supports a number of different architectures, including standard array geometry configurations such as lattice (rectangular/triangular) and circular (with multiple concentric circles), as shown in Figure 10. Figure 10 • VSS standard array geometries: lattice (left) and circular on the (right). Custom configurations such as multi-panel arrays and pseudo-random arrays are also available within VSS (Figure 11). Figure 11 • Custom array configurations: multi-panel (left) and pseudo-random (right). As part of the model, users can do an element failure analysis. When the elements fail, the array response will degrade. With VSS users can see how the pattern is degrading before the design is in trouble. Figure 12 shows a rectangular (16 x 4) array with λ/2 spaced elements. Element failure results in side lobe response degradation. Figure 12 • Element failure results. Figure 13 shows the in-situ analysis capability in Microwave Office circuit simulator, which, as the beam is scanned, models the power amplifiers and automatically accounts for the coupling between the input impedance of the antenna and the power amplifier. As the designer scans the beam by changing the phase and amplitude at each element, the software recalculates with harmonic balance the power amplifier performance. The AXIEM 3D planar simulator within Microwave Office circuit design software also offers phased-array simulation capabilities. As can be seen in Figure 13, the antenna array pattern is being EM simulated by AXIEM. 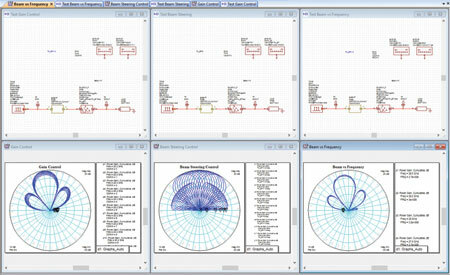 Figure 13 • Antenna array pattern being simulated in Microwave Office circuit design software’s embedded AXIEM EM simulator. What makes these antenna patterns so difficult is that because the elements are being driven by power amplifiers in saturation, as the beam is scanned, the load impedance to the power amplifier changes and therefore the input impedance to the elements changes. A classic example of this is where designers taper the power coming into the antenna so the most power goes to the center elements with less power to the outside elements, which lowers the side lobes. This drives the power amplifiers of the elements in the middle to saturation much more than the ones on the outer part of the array, possibly resulting in different performance than expected. In VSS, designers can simulate multiple beams using the phased-array element, which supports a variety of ways of doing this, including analog, digital, and hybrid beamforming, as well as single beam versus multi-beam and beam sweeping. Figure 14 shows how VSS enables designers to have multiple beams at different angles coming out of the same array. Figure 14 • VSS provides a variety of ways for simulating multiple beams. In the analog beam-steering method, the RF carrier is sent in and branched out to the elements with an analog phase shifter at the RF frequency of each element. The designer then scans while changing the phase at that center frequency. The advantage of this technique is that it is relatively simple, however, it is not very accurate. A newer method is digital beam forming, where at baseband the designer digitally processes the signal, then upconverts it, getting a much more accurate steer on the beam. The problem with that is that now each element must have a separate feed, making the feed structure coming into each element much more complex and requiring upconversion at each element. As arrays are getting bigger, hybrid architectures are employed as a mix of digital and RF beamforming. Figure 15 is an LTE multi-beam example using VSS. On the left a subcircuit labeled “4 LTE signals” can be seen. That subcircuit contains four LTE signal sources transmitted out of the same phased array, with each signal broadcast at a specific beam angle aimed at four different receivers. As the designer changes the beam angles, the performance of each receiver can be monitored and the system throughput can be displayed, showing the effect of beam steering and beam placement. VSS enables designers to see how accurately they need to control the beams in order to achieve acceptable power and data throughput. They can also monitor a number of other measurements, such as ACPR, EVM, constellation, etc. Figure 15 • LTE multi-beam example. Figure 16 is a VSS mockup of a 4 x 4 phased array prototype developed by IBM and Ericsson. Designers can run multiple tests to evaluate the performance of gain control, beam steering control, as well as array response over a range of frequencies. Figure 16 • 28 GHz phased-array transceiver in VSS. NI AWR Design Environment provides a powerful framework for simulating complex 5G MIMO systems with multi-beam and beamforming capabilities. 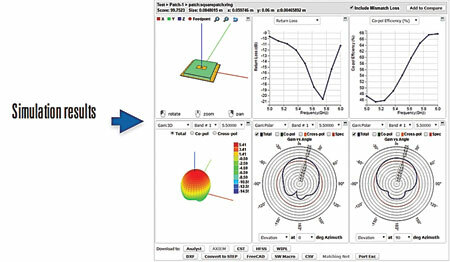 AXIEM and Analyst EM tools can be used for designing and evaluating the phased-array elements and their interactions. 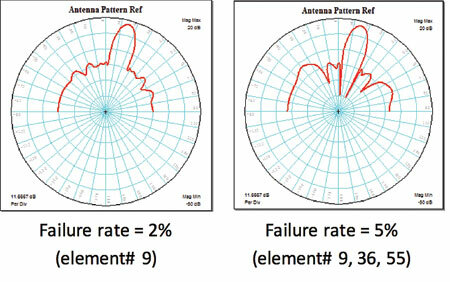 Element radiation patterns are included in phased-array system analysis. 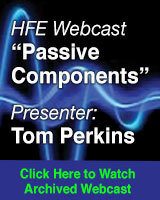 The effect of realistic RF links is included in the phased-array assembly to achieve realistic performance evaluations. A complete communication system can be modeled, inclusive of modulations, baseband processing, TX/RX links, noise effects, and propagation. Dr. Gent Paparisto, Dr. John Dunn are with AWR Group, NI.